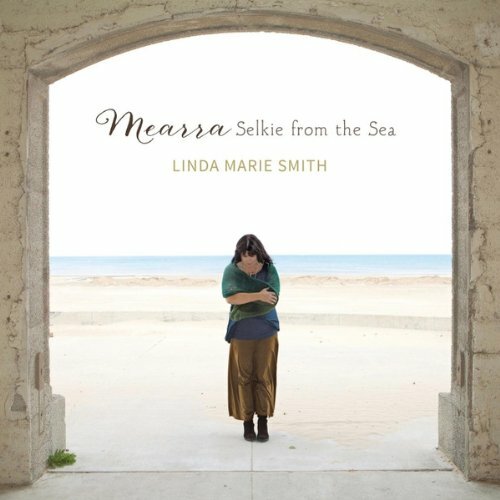 Linda Marie Smith’s new concept album Mearra: Selkie from the Sea is one of the most original concept albums that this critic has ever heard. The story, which is based on a Celtic legend, is a touching and heartwarming story of love’s power. Regardless of whether audiences are familiar with the legend on which this story is based, audiences will agree that there is something very special about this musical romance. The very first thing that audiences will appreciate from this record is the story itself. On the surface, there’s a hint of The Little Mermaid considering the story’s central plot. While the similarity is there, it is fleeting at best. And that serves to make this story stand even more solidly on its own merits. On a related note, audiences will appreciate this record because it could so easily be turned into a stage play or long form music video a la Trans-Siberian Orchestra’s The Ghosts of Christmas Eve. As audiences listen to the album’s eleven total tracks, they will agree that while the story itself is moving, it is so because of the songs’ orchestrations. All of the factors noted here play hand-in-hand to make Mearra: Selkie from the Sea a record that is sure to become a favorite among so many listeners. The first thing that stands out about Mearra: Selkie from the Sea is the album’s central story. The central story sounds on the surface like Hans Christian Andersen’s classic story, The Little Mermaid. However, the only similarity that the two stories share is that of a being from the sea falling in love with a human. That is where the similarities end. Those that have read Andersen’s original story will recall that The Little Mermaid actually dies in the end of that story. Disney changed that and cleaned it up for its version of the classic fairytale. The story presented in Mearra is completely different from either of those tales. This tale is that of a young Selkie—a seal that can change into human form—named Mearra that falls in love with a lonely unnamed fisherman. Mearra doesn’t die in the end of this story. However, it is a bittersweet tale. As heart wrenching as the story becomes, it proves that true love still conquers all no matter what. The story contained in Smith’s new album is one that will leave not a single dry eye by its closing moments. That is the manifest function of the album. There is actually a latent function to this story, too. That function is that it opens the door to another culture. In listening through the album in its entirety, Mearra could actually open doors to and interest in Celtic lore and culture as a whole. This applies regardless of the age of Mrs. Smith’s audiences. For that factor alone, Smith deserves an even bigger round of applause. Mearra: Selkie from the Sea is a story that is well worth the listen, as is already evident thus far. It is a door (or a window, whichever one chooses) into another culture for many audiences. It is also at its root, a beautiful yet painful love story that is also quite original in its own right. Just as worth noting about this new release from Linda Marie Smith is that the story is so vivid. Audiences can close their eyes, listen to Smith sing, and fully visualize each scene/song. It’s so vivid that one could actually see it made into a full feature-length presentation a la Trans-Siberian Orchestra’s The Ghosts of Christmas Eve. And much like that presentation, it wouldn’t have to be some major, big-budget presentation, either. Though staying on that matter, anyone that is familiar with Hollywood’s history would agree that it could just as easily be turned into a major motion picture. If that were to ever happen, Smith’s composition as a whole should be given at least partial credit for the inspiration for any movie that could be made of the musical. The music and story crafted by Linda Marie Smith in this concept album are certain to leave few dry eyes if any among its listeners. That is because of the vivid story painted by Smith’s words. The words alone would be nothing without her lush orchestrations within each song. Right from the story’s outset, the orchestration’s expertly set the scene. Listeners can see Ian on a lone boat on a lake, the sun slowly beginning to shine down on a calm river. The gentle cymbal roll and flute lead into a more upbeat sound that illustrates Ian casting his nets as he did every day. The bouncy, playful sounds of the piano, accordion and drums together in ‘Heaven Knows’ is another example of how the album’s orchestrations help to make this story even richer. It helps to show the happiness of two people being together. There are far more examples of the impact of Smith’s orchestrations throughout her new album. Her album is available now and can be ordered online via CD Baby at http://www.cdbaby.com/cd/lindamariesmith and her official website http://lindamsmith.com/mearra. More information on Linda Marie Smith, her new album, and more is available online at https://www.facebook.com/pages/Linda-Marie-Smith-Band/330763523631. To keep up with the latest sports and entertainment reviews and news, go online to http://www.facebook.com/philspicks and “Like” it. Fans can always keep up with the latest sports and entertainment reviews and news in the Phil’s Picks blog at https://philspicks.wordpress.com.